​Established in 2000, TradeAID works with the Bolgatanga basket weavers in the North of Ghana. 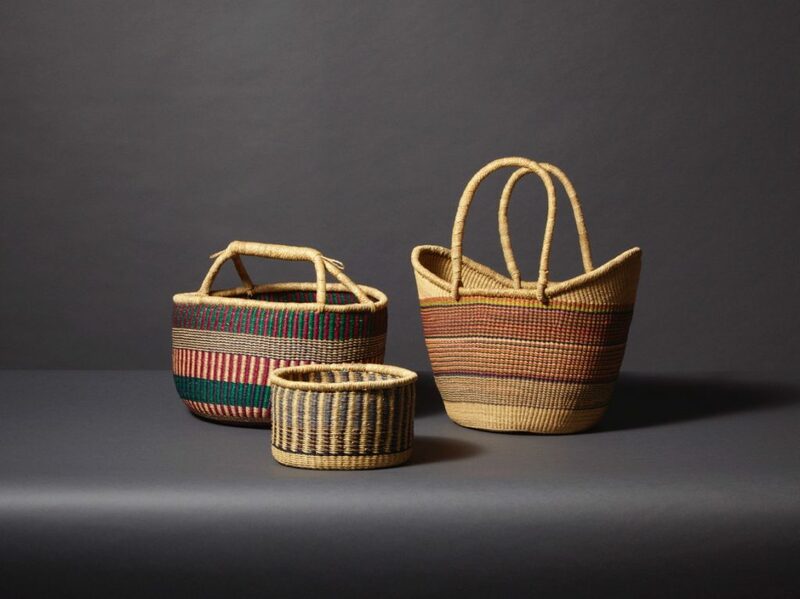 For decades, Bolga baskets have been cherished by users all over the world for their beauty and functionality. The baskets are woven traditionally by hand, using local elephant grass. The weave patterns have been handed down from generation to generation. A basket needs a solid base, and strong straws are used for that purpose. This makes the baskets suitable for storage and decoration. One basket is made by a single person, the whole process requires 24 hours of work. Different structures require different techniques. Basket weaving provides both women and men in this semi-arid rural area a living employing their craft skills. ​TradeAID is committed to the fair trade principles, and exports to the US and Europe.